You find yourself feeling that you don’t deserve to get what you want. You often doubt your own abilities. You feel you don’t have what it takes to get where you want to be. You feel stuck in your life or your career. 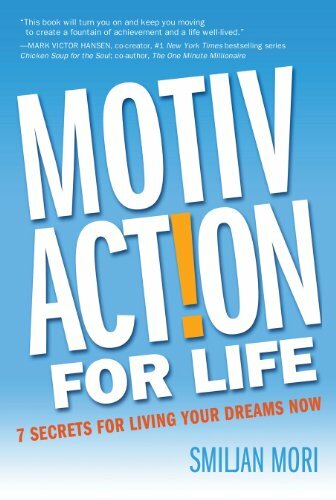 Smiljan Mori is someone you want to meet, if not personally, by reading his most acclaimed book, MotivAction for Life, 7 Secrets For Living Your Dreams Now. This book is already an international best seller across Eastern Europe, now finally available in English. Find out why it took Europe by storm! Smiljan believes that success first happens in your head. If you’ve heard the saying IT’S ALL IN YOUR HEAD many times, this book will show you the real meaning of that popular saying. You will become the master of your own destiny! This is the only self-development book you will need, if you just apply the time-tested and proven strategies, you’ll be raving about it to your friends and wanting more from Smiljan Mori!